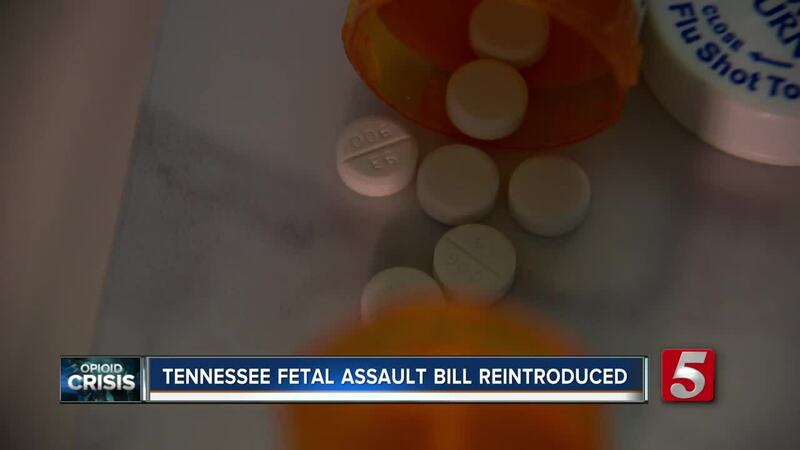 Pregnant women whose babies are born addicted to drugs could face charges if a bill filed by two Tennessee lawmakers is passed. Under the bill, women who used narcotics during their pregnancy could face prosecution if their baby is harmed or born with an addiction. A similar law went into effect in 2014 but at the time, lawmakers included a sunset clause that allowed it to expire after two years. Rep. Terri Lynn Weaver R-Lancaster and Sen. Janice Bowling R-Tullahoma sponsored a bill that would bring it back. the babies and something needs to be done to protect these babies" Representative Weaver said. According to the bill, women would not be prosecuted if they're enrolled in an addiction recovery program before the baby is born or if they complete the program. Mathilde Mellon, Founder of the Pregnancy Help Center told NewsChannel 5, ""Treatment is always the best option, particularly, when it comes to pregnant women, and pushing women towards abortion because she's afraid of DCS is not the way we want to go." If passed, the law would take effect on July 1, 2019.